The Rose Melnick Medical Museum is pleased to provide diverse research opportunities in the history of medicine through use of its artifact, manuscript, image, and library collections. Students, scholars, and members the general public are welcome to use our collections. The Museum’s library collection consist of approximately 200 volumes of old and rare medical books as well as a complete set of the Bulletin of the Mahoning County Medical Society. The archival collections consist mostly of papers, diaries, documents, photographs, and newspaper clippings relating to medical practice and medical practitioners of Youngstown and the Mahoning Valley. All on-site research is by appointment only. Please call 330-941-3487 or email clnespor@ysu.edu to schedule. The following policies ensure the protection of the collections from damage or theft. Users of the collections must adhere to all policies in order to access the materials in the Museum. The Museum staff has the right to enforce all policies written in this document. We also reserve the right to add additional policies or change the following policies at any time if deemed necessary. If a patron disregards or violates any policy, the Museum staff may deny that patron access to the collections and/or ask him or her to exit the premises. • Food and beverages (including water) are not permitted around the collections. 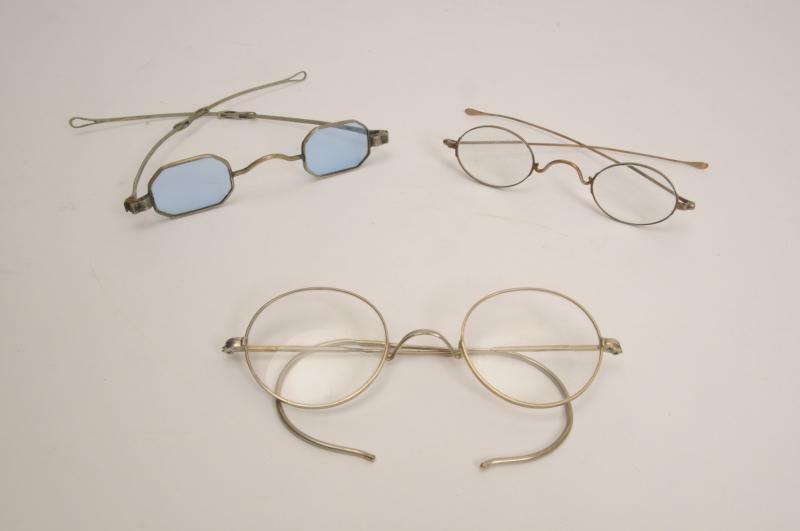 • Many of the holdings in the Museum’s collections are extremely fragile. Please handle all materials with extra care and take any necessary precautions when handling any artifact. • Depending on the nature of the material, the Curator may require patrons to wash their hands and/or wear white cotton gloves when handling certain materials. The oils, chemicals, acid, and dirt in our hands can be detrimental to some museum objects. • Access to storage units is prohibited. The Curator will retrieve and transport materials to your work area. • Bags, briefcases, purses, and other personal belongings are not to be taken into the research area. • The Curator will determine how many materials can be viewed by a patron at one time (usually one box at a time). • Please use pencil to take notes. The use of pens in the library/research area is prohibited. Pens can cause permanent damage if they come in contact with museum items. In addition, do not write on, write in, tape, or use Post-it notes on books, archival materials, and artifacts. In addition, the Museum staff is happy to answer e-mail and telephone reference questions. You can contact the Museum by telephone at 330-941-3487 or email clnespor@ysu.edu. In particular, the Museum is interested in materials that document the history of medicine in the Mahoning Valley (Mahoning, Trumbull, and Columbiana Counties) from the 18th century to the present. Materials that do not fit the scope of our collection, that are duplicates of other museum materials, that cannot be stored properly in the Museum, or are in poor condition may be declined. The decision to accept a donation will be made by the Curator of the Rose Melnick Medical Museum in consultation with the Youngstown State University Archivist and other relevant specialists if necessary. The Curator (or any other member of the Museum staff) cannot, and will not, appraise gifts for monetary value.